Nadia d' Rosa S, 2018 KWPN Filly, (Franklin x Uphill x Farrington x Jazz), was awarded First Premium, Keuring Champion and the highest movement score (85%) for dressage foals throughout North America during the 2018 KWPN Keuring tour. 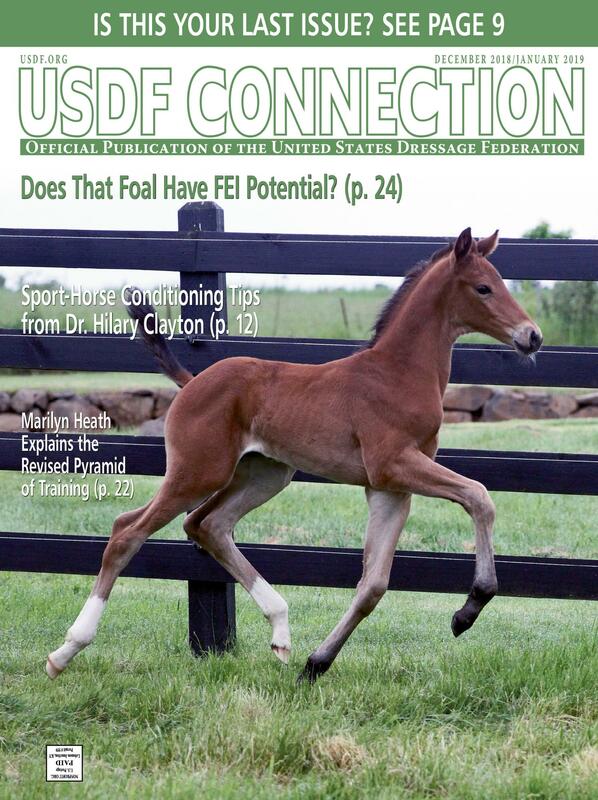 The January 2019 issue of USDF Connection magazine featured our home-bred covergirl, Katarina d'Rosa S, (Ampere x Farrington x Jazz) and an interview for an article by Sarah Evers Conrad about dressage breeding. 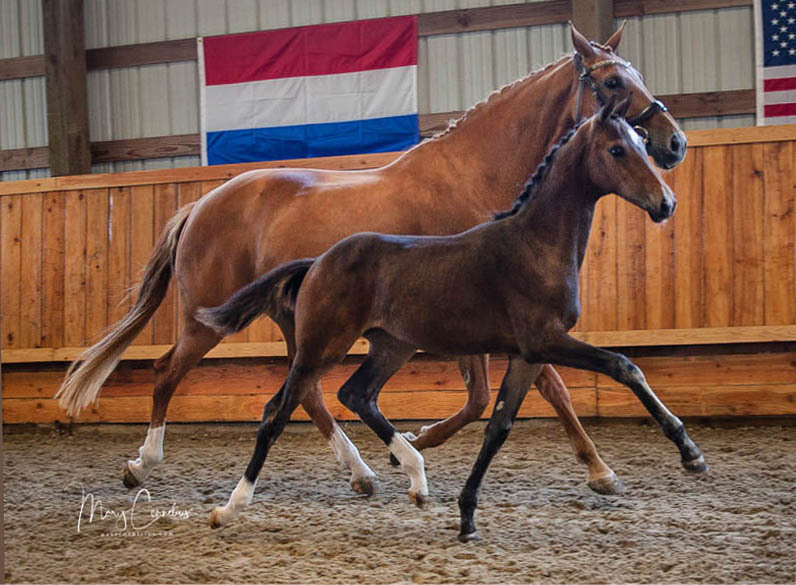 This interesting and educational article is intended for people who are interested in purchasing foals with the intention for them to compete successfully in dressage. Some insightful perspectives and for sure worth the read. Click on the picture to link to the full article . 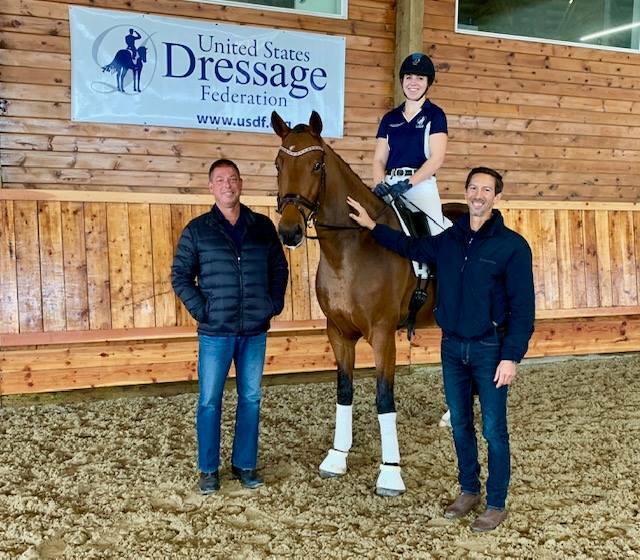 The 2018 USDF Young Horse Symposium was held at Sonnenberg on October 20 & 21 and our three-year-old mare, Katarina d' Rosa S was selected with her rider, Michele Bondy. 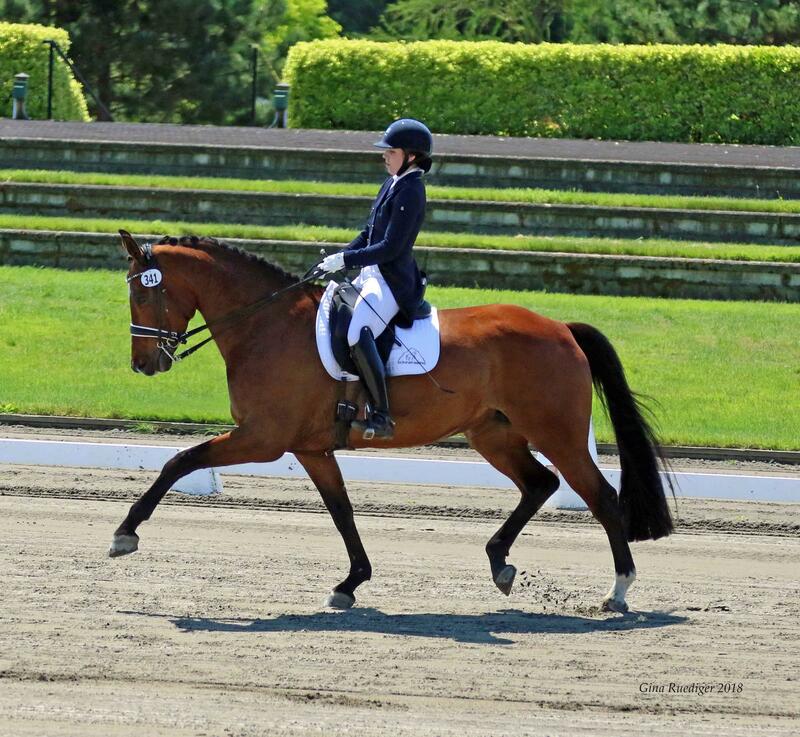 Kristi Wysocki, USEF 'S'/FEI 4* judge gave Katarina a "10" for her canter. Nadia d'Rosa S, (Franklin x Uphill x Farrington x Jazz) out of KWPN Champion Mare Generosa S, keur, was crowned Keuring Champion for Dressage Foals with a huge 85% for movement. 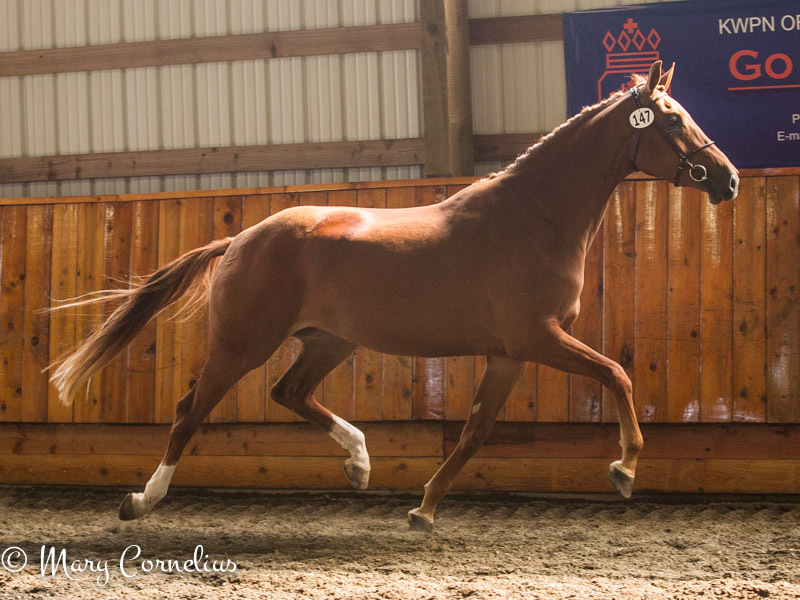 She was awarded "Top Five" for Dressage foals for the entire 2018 KWPN-NA tour. 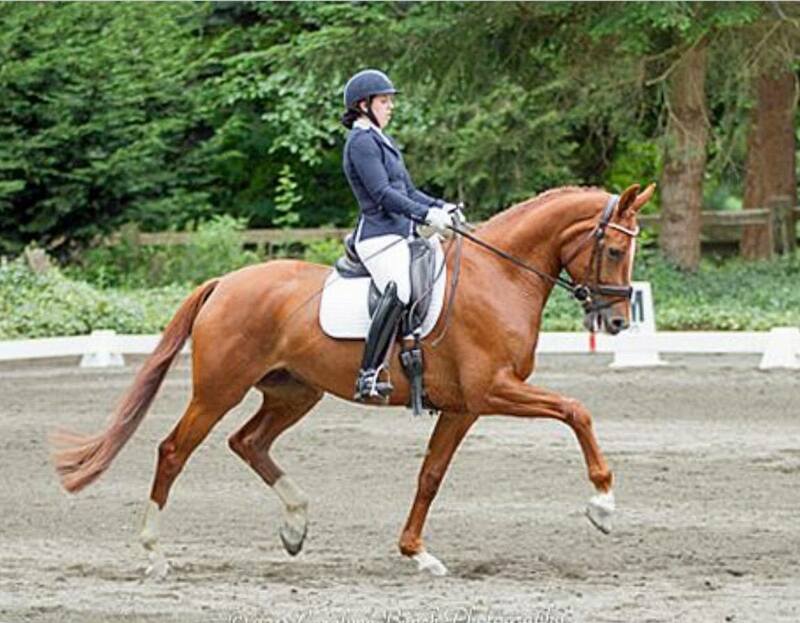 Juliette d'Rosa S, 2014 KWPN mare by Ampere' out of Zen Rosa, elite (Farrington x Jazz), received an 85% for her movement score and an 80% for conformation, which gave her the North American KWPN Reserve Champion status for the 2018 KWPN tour. Juliette also attended her first shows in 2018 and consistently scored over 80%. 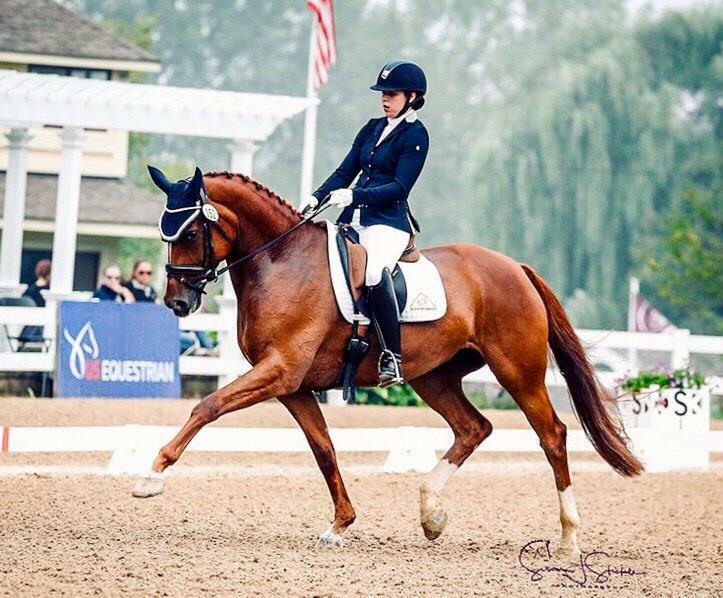 Hannah Anda S, 2012 KWPN mare by UB40 out of Melanda, keur, sport, preferent (Houston x Purioso) qualified and competed in the 2018 Markel/USEF 6 year Old National Championships/Festival of Champions at Lamplight in Chicago, IL. Hannah and Michele qualified for the National Championships with an overall ranking of 7th plan and finished in 11th. So proud of this team, especially since they've only been together since the spring of 2018. Everdance S, keur, sport, 2009 KWPN mare by Johnson out of Raindancer, prov. keur, (Zeoliet x Oldenburg) was Prix St. Georges Champion Open at the ODS Championships held at Devonwood in Septmeber with score over 70%. Watch for this team in 2019 competing in Intermediare I and the Developing Grand Prix. 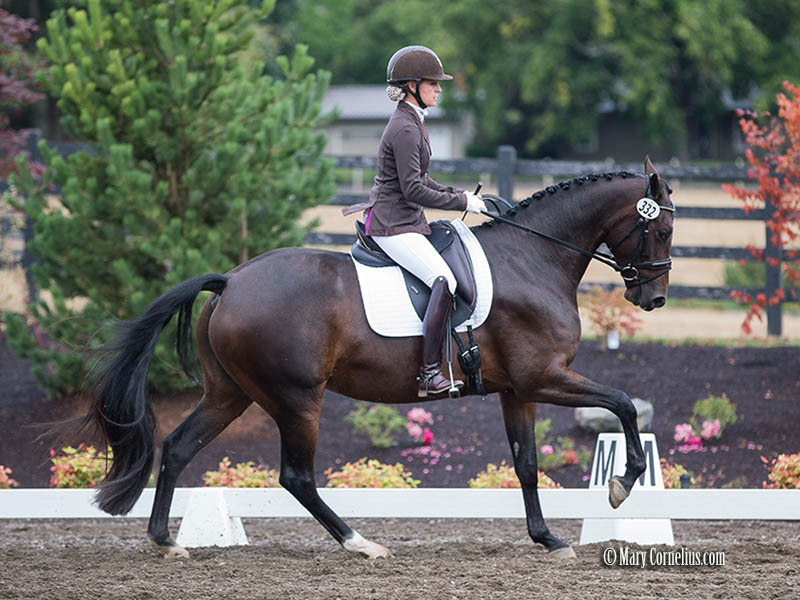 Jazzminde S, 2014 KWPN mare by De Niro out of Tamarinde, keur, sport, (Jazz x Matador II x Rubenstein) was Training Level Champion Open with scores over 76% at the Oregon Dressage Society Championships held at Devonwood in September, 2018. Michele and Everdance S, keur, sport, 2009 KWPN mare by Johnson out of Raindancer, prov. 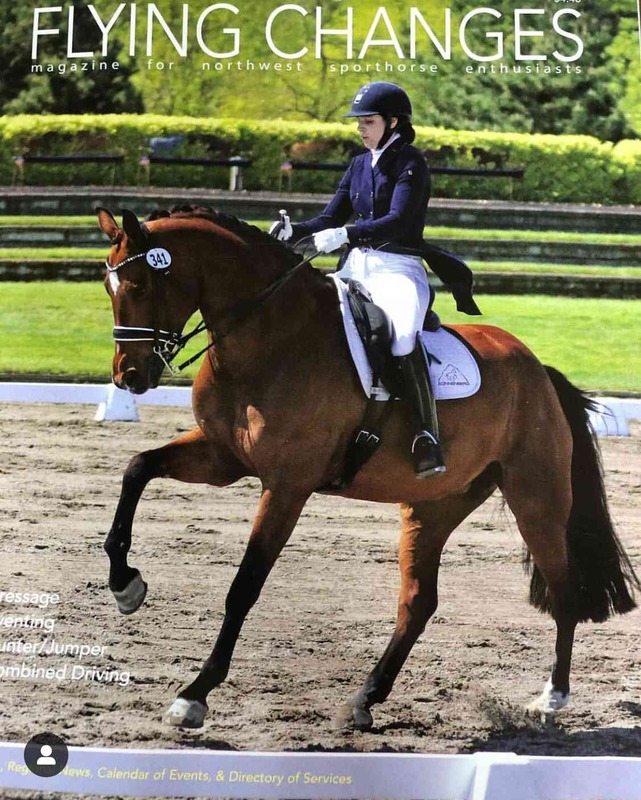 keur, (Zeoliet x Oldenburg) made the cover of the westcoast sport horse magazine "Flying Changes". Pretty appropriate given her huge flying changes that this mare regularly scores 8's and above based on her expression and accuracy. 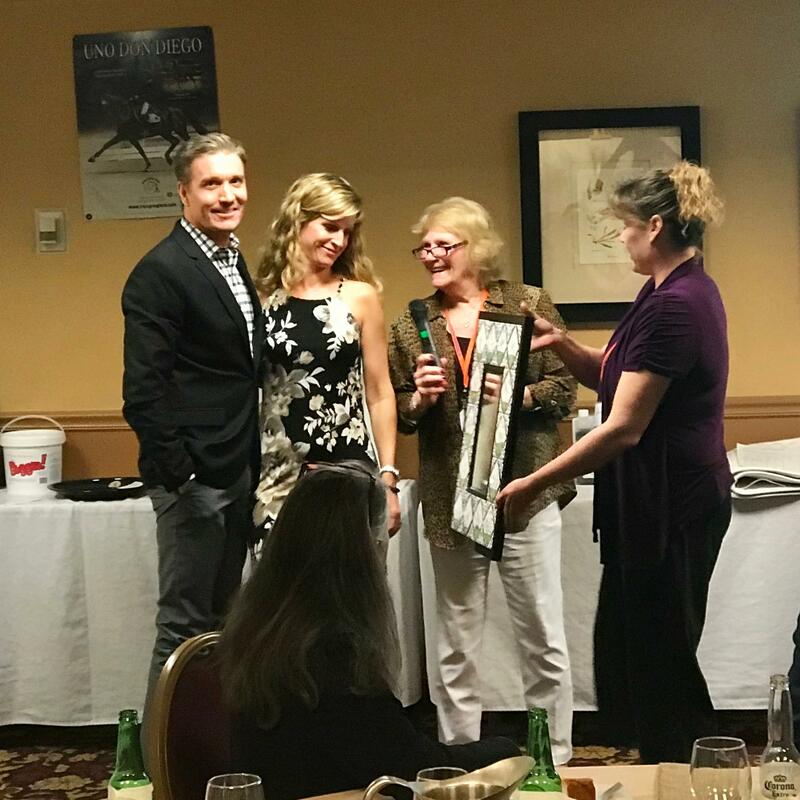 February 2018, in Wellington Florida, Sonnenberg Farm, LLC was awarded 2017 North American Breeder of the Year. "We are so honored and thankul for this award and thank all of the people who have worked hard to train and compete Sonnenberg bred horses. and couldn't have done it with out our Sonnenberg Team." Allure S, elite, preferent, prestatie (Rousseau x Farrington x Haierarch) and Rebekah Mingari were Champions of the YR National Championships at Lamplight in Chaicago, IL. Congratulations to Rebekah, Allure S and their instructor/trainer Angela Jackson. August, 2017, Modern Pleasure S, (Expression x Wynton x Ferro) (aka Max) was the cover foal of our west coast sport horse magazine "Flying Changes". Max is the only known 2017 foal born in North America who is by the Grand Prix stallion Expression (Vivaldi x Vincent). Max is out of a very special mare-line that has produced multiple stallions in Holland. We are excited and hopeful that he develops well as a potential KWPN stallion candidate. Levanta S, 2016 KWPN Filly, (Charmeur x UB40 x Sandro Hit) was was awarded First Premium, Keuring Champion 2018 KWPN-NA Reserve Champion Dressage Foal. Gabrielle S, keur (Sir Sinclair x Ferro), bred, trained and ridden by Gina Ruediger was 2016 North American DG Bar Cup Champion. Allure S, elite, pref. 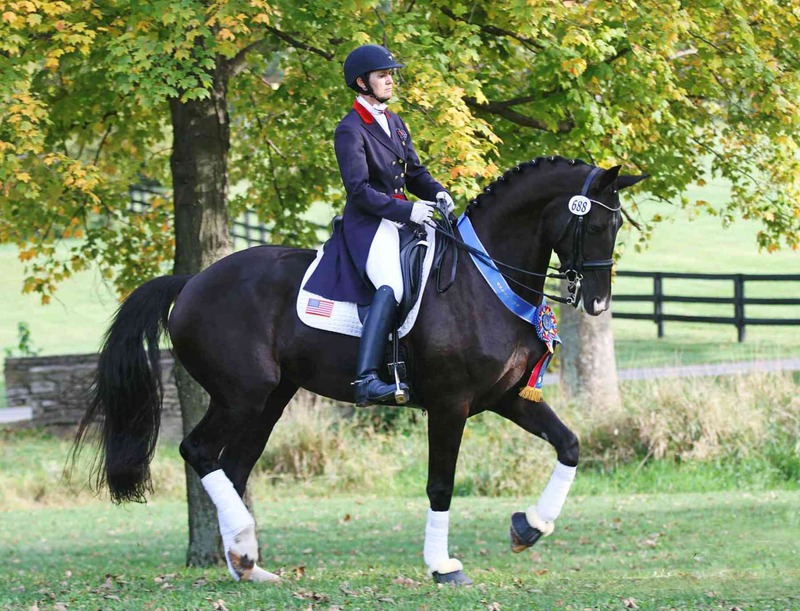 prestatie (Rousseau x Farrington) was Prix St. Geiorges and Intermediare I Freestyle Champion at the US Dressage Finals at the Kentucky Horse Park. Allure S is trained and competed by Angela Jackson and owned by Dr. KC Dunn. Generosa S, keur, (Uphill x Farrington x Jazz) was Reserve National Champion for the Markel/USEF FEI 4 Y.O. National Championships at Lamplight in Chicago. Generosa S was ridden by Brooke Voldbaek and is out of Zen Rosa, keur, preferent (Farrington x Jazz). Allure S, elite, pref. prestatie (Rousseau x Farrington x Heirarch) was Reserve National Champion for Developing Prix St. Georges at the National Championships at Lamplight in Chicago. Allure S was trained and ridden by Angela Jackson of Kentucky, USA. Generosa S, keur (Uphill x Farrington x Jazz) was North American Champion Mare for the entire KWPN-NA Tour.